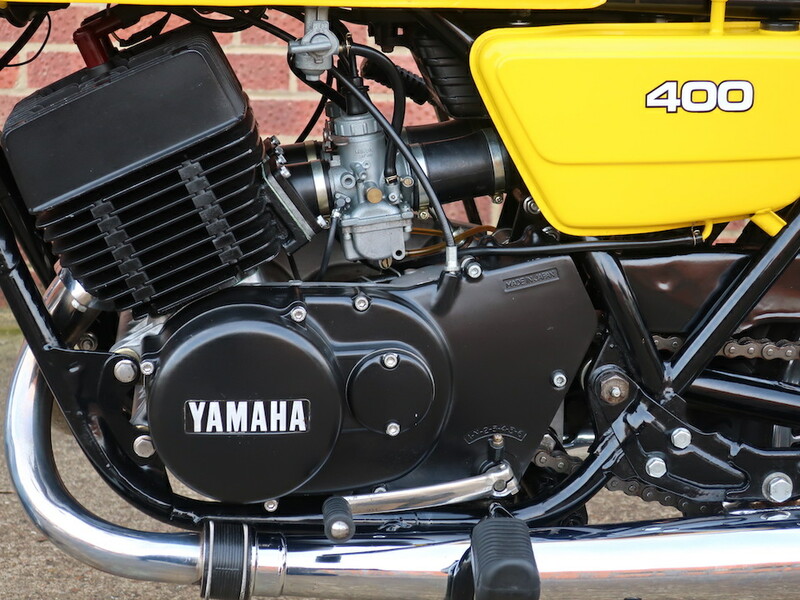 The two-stroke air cooled six-speed 399cc RD400 was produced from 1976 until 1979 and was directly evolved from the RD350. 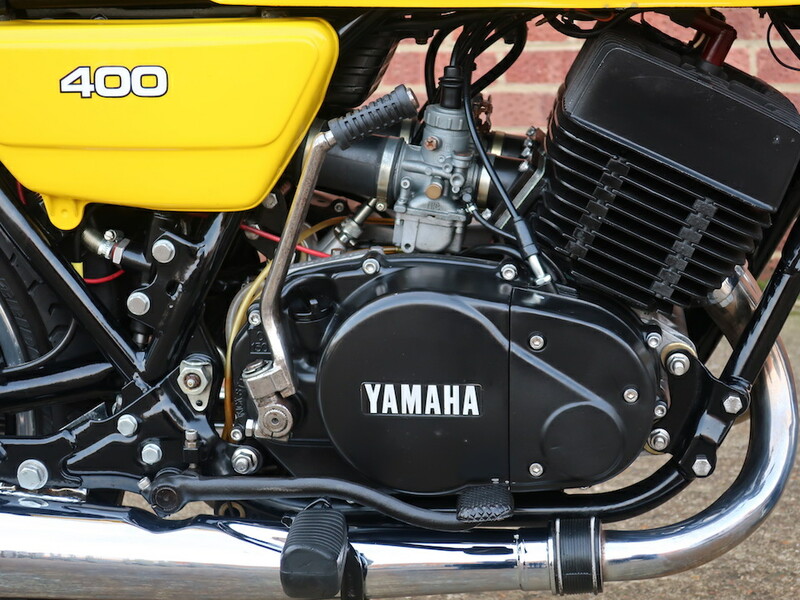 With top speed of almost 100 mph it soon become the stuff of legends with a young speed hungry generation, the larger engine had a much better spread of torque and, just like its predecessor, proved highly amenable to tuning. 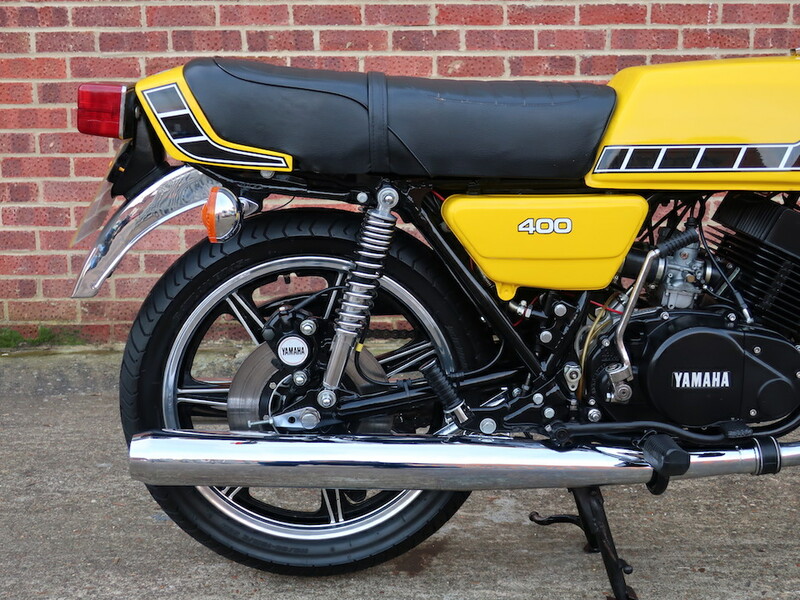 Tweaked RD400s were soon top of their class in production machine racing the world over. 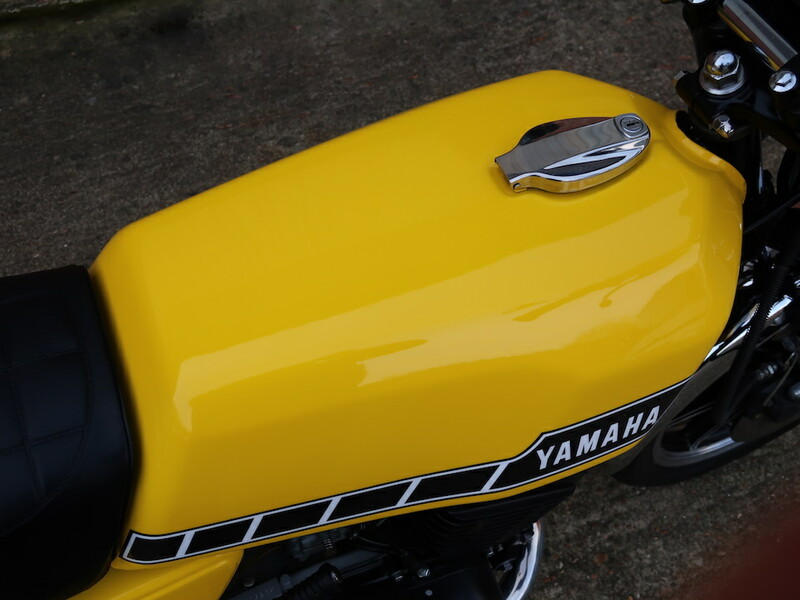 The new styling of the coffin-shaped fuel tank and the distinctive ‘speed block’ graphics against Yamaha’s race yellow made it a true icon. 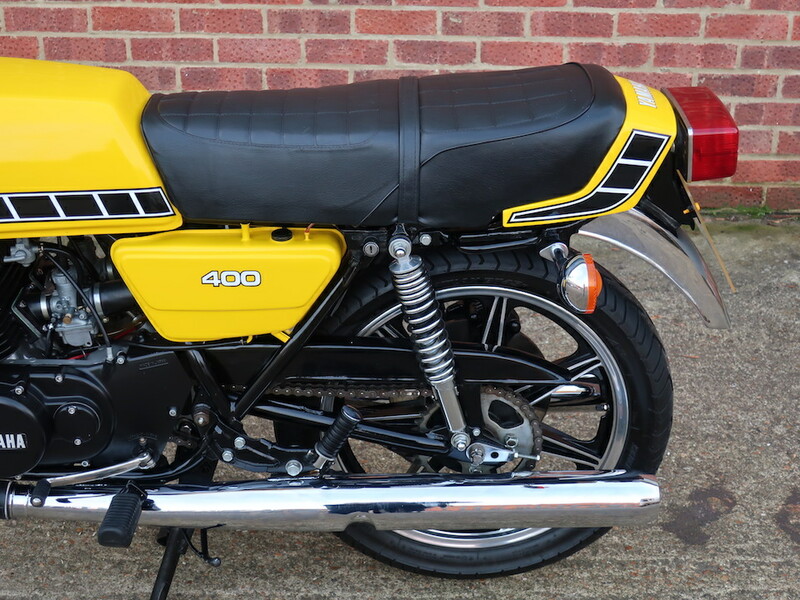 This early example was subject to a previous restoration before being part of a collection. 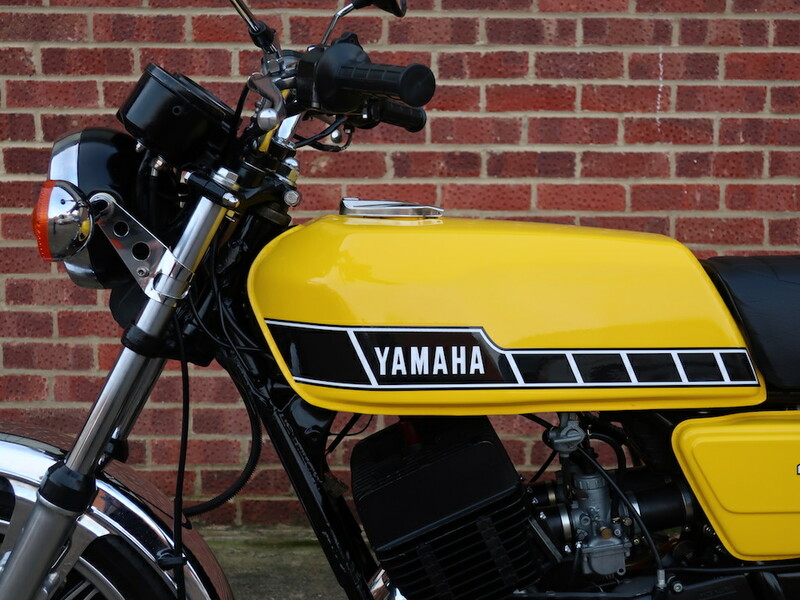 Unfortunately when the collection was disbanded most of the paperwork was lost. 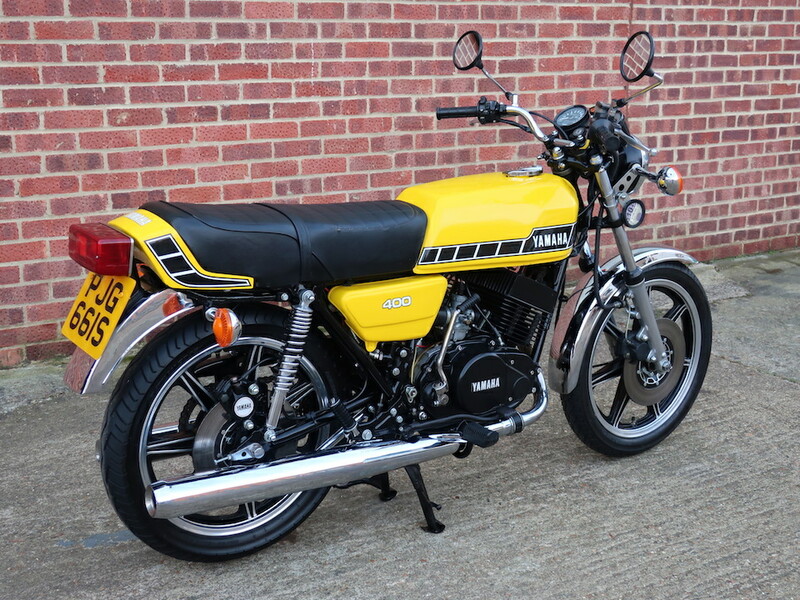 A very fine example it is in great running order and is supplied with a few old MoT’s showing the milage as 47,450 in 1994, the current milage is showing 49,650. 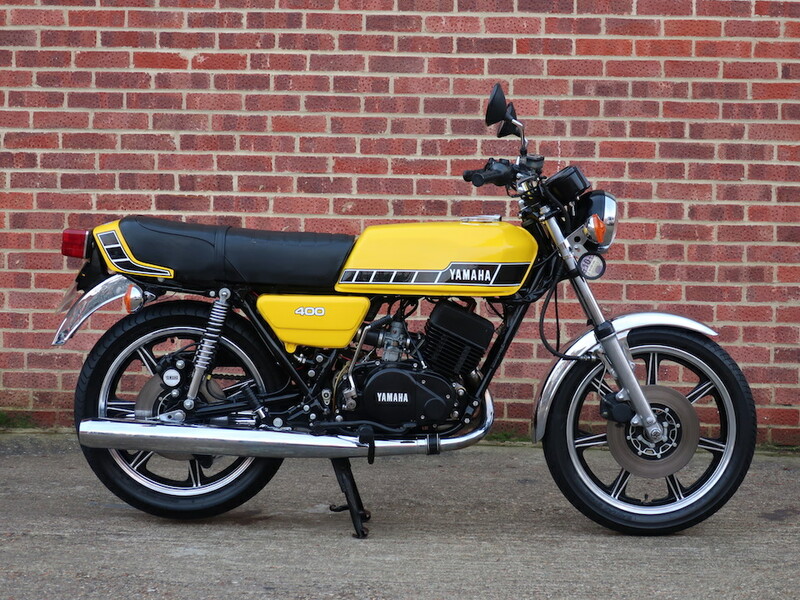 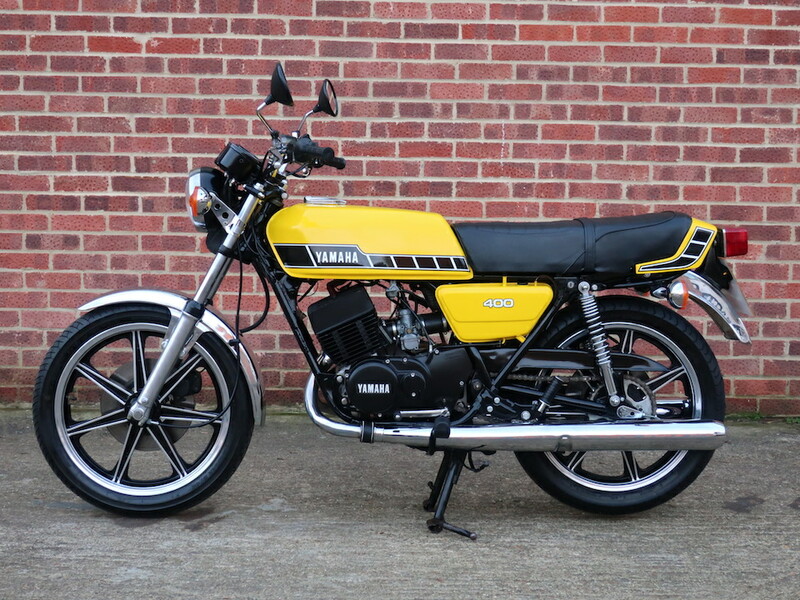 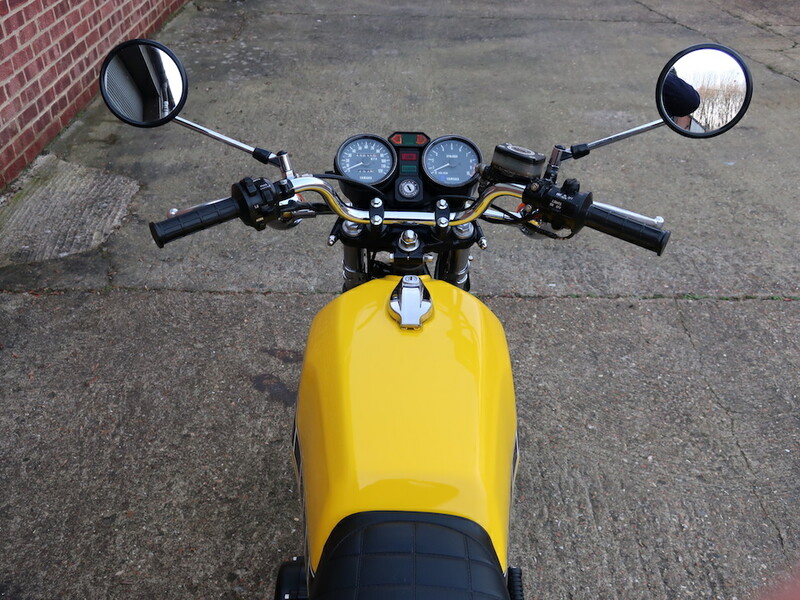 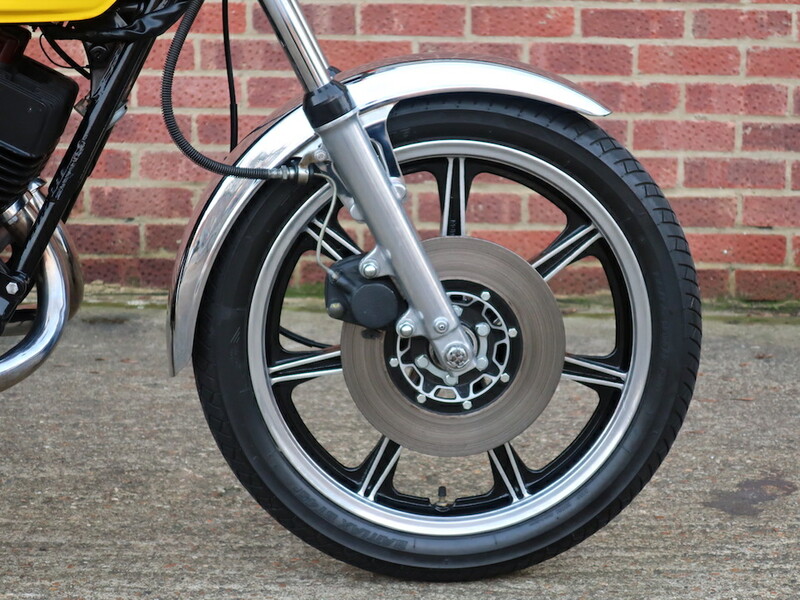 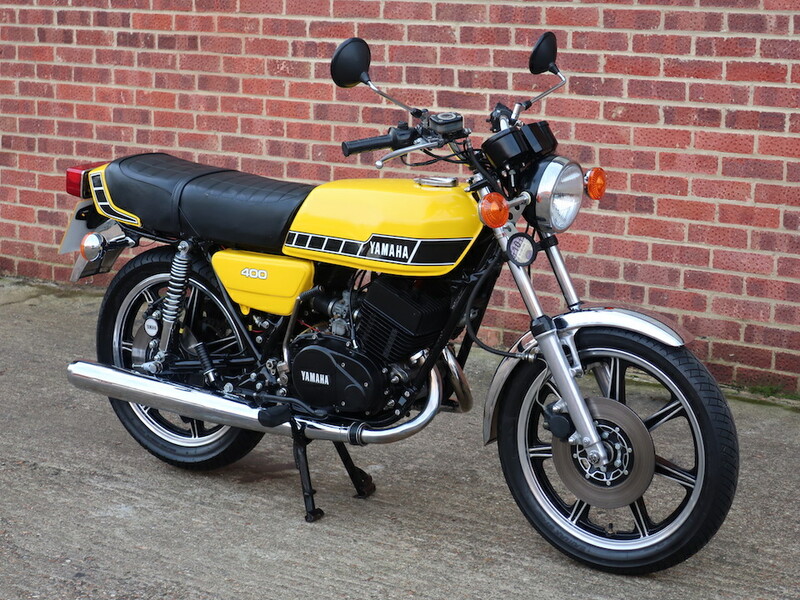 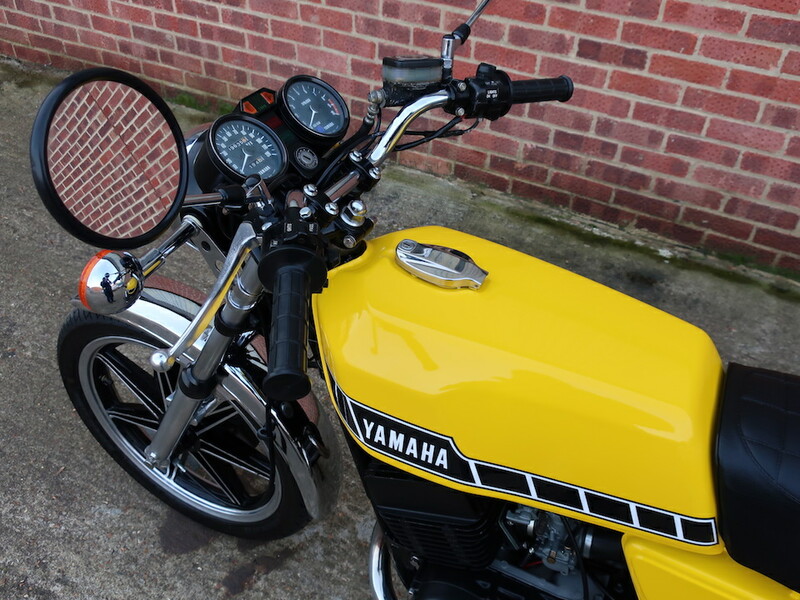 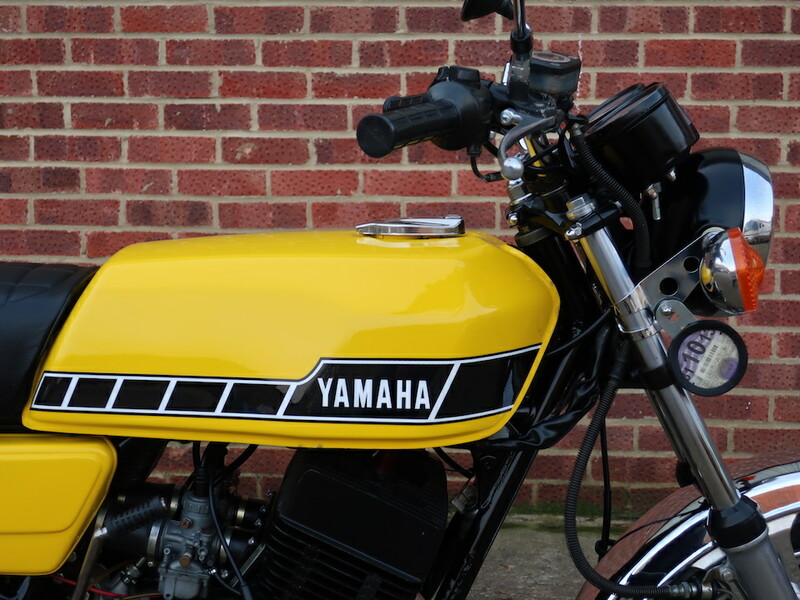 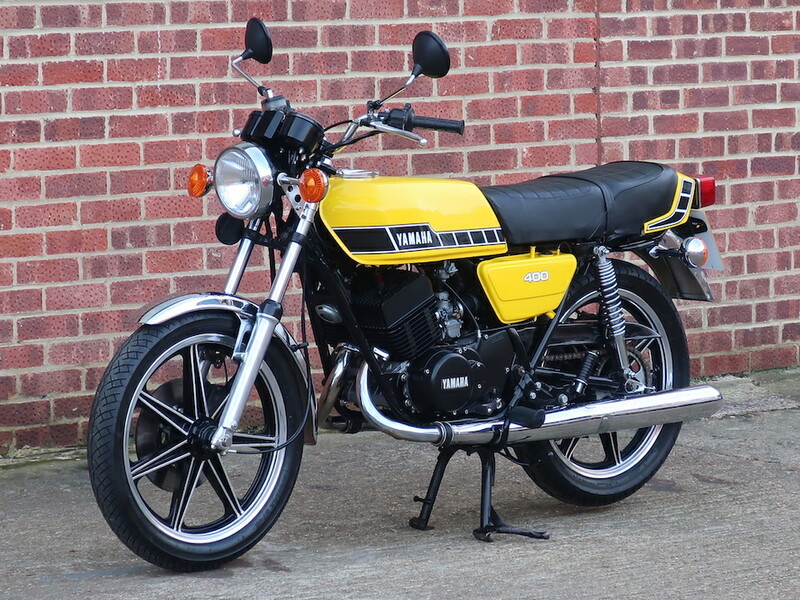 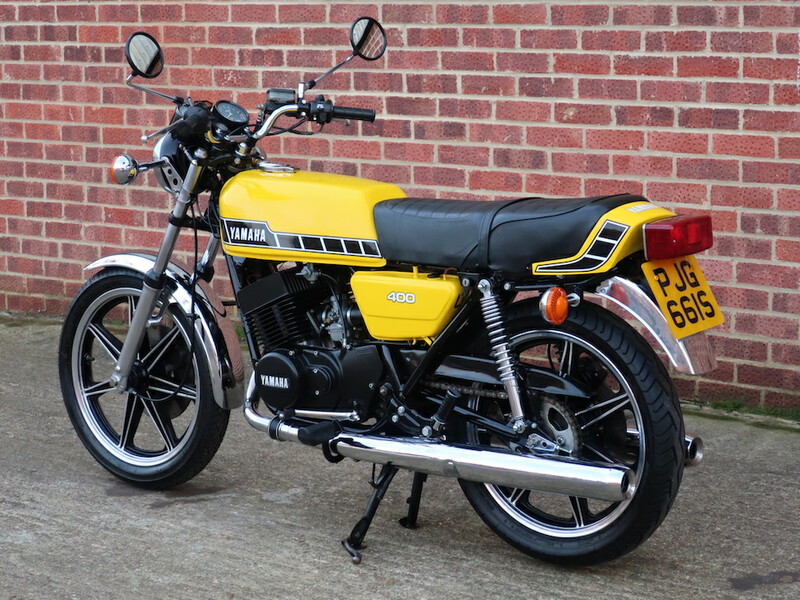 Being now over 40 years old this great classic Yamaha no longer require an MoT or road tax.